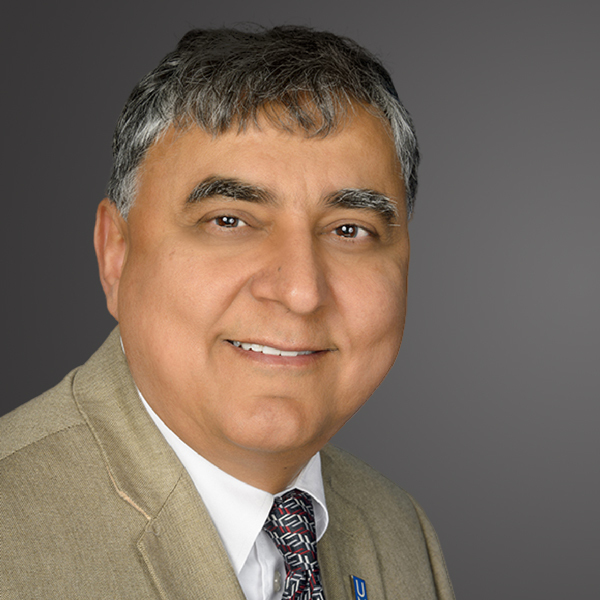 Professor Jasbir Dhaliwal has multiple leadership roles at the University of Memphis. As Chief Innovation Officer of the university and a member of the President’s Council, he leads strategic innovation priorities to help modernize the university’s academic and research culture. This includes serving as the Executive Director of the FedEx Institute of Technology, which as the front door to the university’s research capabilities and innovation infrastructure, promotes interdisciplinary research clusters, corporate engagement, entrepreneurship and technology commercialization. On the academic side, Dr. Dhaliwal (in his capacity as Dean of the Graduate School) has strategic responsibility for all aspects of the university’s portfolio of 121 graduate programs that enroll about 4100 graduate students in studies at the doctoral and masters levels. As Vice Provost for Academic Affairs he supports the Office of the Provost on key priorities to advance the university’s academic mission. He holds MBA and PhD degrees from the University of British Columbia in Canada and has diverse international academic leadership experience. In the mid-1990’s he served as Deputy Director for the Center for Management of Technology at the National University of Singapore facilitating university-industry research collaborations with global technology multinationals as they expanded rapidly in Asia. During the innovation era of the dot-com boom, he founded the first Canadian university-based internet incubator at what is now the School of Interactive Arts and Technology of Simon Fraser University. Over his professorial career prior to arriving at the University of Memphis, he has also helped to internationalize and grow a Master’s degree in Information Management at the Norwegian School of Management in Oslo, and assisted Northern Kentucky University with launching an American Master’s degree in Information Systems in Moscow, Russia. In 2006, he founded the Systems Testing Excellence Program in partnership with FedEx in his core research discipline – software testing, for which he received the university’s Eye of the Tiger Award and its Research Millionaire Award. STEP now represents the largest international academic research group in this field and, besides FedEx, has research relationships with the likes of the Joint Interoperability Test Command of the Department of Defense, Department of Homeland Security, Lockheed Martin, IBM and Nomura Japan. In 2012, he received the Papasan Family Professorship for Exemplary Leadership from the university. He is also the founding President of UMRF Ventures, Inc. a wholly-owned subsidiary of the University of Memphis Research Foundation which focuses on creating innovative public-private partnerships for student success.